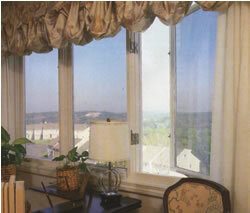 Madico window films provide solar control, protection and beauty to your home. Big windows and open architecture in a home bring the outside world in and create a special ambience. The large expanses of glass found in so many of today's homes allow the cheerful, natural light of the sun to flood the interior as well as frame scenic landscapes that delight the eye and calm the spirit. The films, we can offer to you, are designed to enable you to enjoy the pleasures of light, airy, sun drenched rooms while at the same time providing protection from the sun's heat and damaging ultraviolet rays. If the beauty and comfort of your home's interior revolve in part round the sun, why not make it a world that you control. REDUCE FADING The same sun that enlivens your home''s interior can be the death of fabrics, furnishings, artwork and carpets. Window films in our domestic ranges screens out up to 99% of the damaging UV rays that can turn rich colours into faded dreams. INCREASE YOUR COMFORT Our windows films will keep you cooler in the summer and warmer in the winter. Reducing uncomfortable solar 'hotspots' in your home and eliminating annoying and distracting glare. You get the light but not the heat and glare. PRIVACY All our films give you a clear view to the outside world, but depending o the degree of privacy required, you can select a film that prevents others from looking in during the daytime.Live in a Safer HomeWindow film also adds a welcome degree of shatter resistance to glass areas in your home. 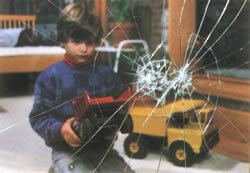 Pressure sensitive adhesives bondes to the glass and helps hold dangerous glass fragments in place should breakage occur due to accidental damage of brek ins. For the utmost security and safety we use a special engineering to make glass and film become virtually one, create a barrier on the inside of your windows that help contain flying glass shards. INSTALLING AND CARE Installation is easy and unlikely to disrupt any ongoing activity. The installation is retrofit to the interior side of the glass surface and requires measuring, cutting and preparation, which easily accommodate the homeowner's schedule. Care and maintenance are also easy. The micro-thin polymer of our window films is protected with a scratch resistant coating for durability, and can be washed with a clean cloth and soapy water, just as you would with regular glass.